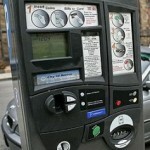 The Price Of Metered Parking in Boston Just Went UP!!!! Yes, it is true….parking just went up in Boston 25% from $2.00 to $2.50 for two hours of parking, $1.25/hour or 12 minutes for $.25. I am sure a lot of you were wondering why the machines were taking more of your money. Here is your answer. Is this a sign of inflation or just an in line increase? Compared to other major US cities, Boston is relatively inexpensive. Philadelphia is $2/hour, Washington, D.C is $3/hour and Los Angeles is a staggering $4/hour. Meter prices have not increased in Boston, MA since the mid 80′s. The city will also be implementing a “Smart Card” system in which you can reload a parking debit card at various locations. Today the Bryant Back Bay went to its second auction. This one was a tremendous success and speaks volumes to the state of the luxury market. Least expensive, unit 306 went at $675/square foot and the most expensive, 905 went at $840/square foot. Residence 806 features a 198 sf private terrace not included in the interior sf. UPDATE – Owner has filed for bankruptcy protection. Therefor, the auction has been postponed until at least December 1st, 2010. 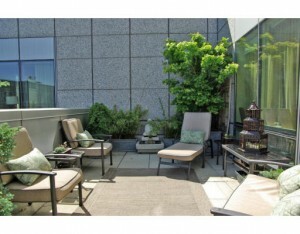 Unit 906 at The Ritz Carlton Low Rise is being auctioned off on September 15th at 11am. More details will be unfolding but the unit has been rented for quite sometime at a very high rate per month. A foreclosure auction would seem unlikely, but it is possible the owner was pocketing the money and burning the bank, as well as the building condo association. 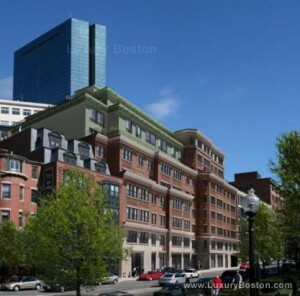 It is also possible that the 3 Avery Street Condominium Association forced the sale due to back condo fees. Let this be a lesson; building CONDO ASSOCIATIONS can, and will put a lien on your unit if you do not pay your condo fees in a timely fashion. You will not be issued a clean 6D certificate(Document from the condo association that states you, the seller, does not have any outstanding balances due to the condo association, or upcoming special assessments) and may hinder the sale of your property in the future. Terms of Sale: A deposit of $25,000 by certified or bank check will be required at the time & place of sale & balance within 30 days. Google Versus The Chinese Government – Winds of Change? Google, risking billions of dollars in revenue, has threatened to pull their popular search engine out of China if the Government continues to sensor its content and search results. No other company in the world has the same impact or power over commerce and business as Google. The Chinese Government has told Google that if they are going to operate in China, they MUST play by their rules. This means they cannot show search results that contain human rights terms, critical political views, religious propaganda or pornographic material. The company has agreed to follow these strict guidelines for the last few years but things may be about to change. Recently, two Chinese human rights activists Gmail accounts were hacked by highly sophisticated means. Google has taken exception to this and without directly blaming the Chinese Government for the breach, they have told them that they would pull out of China if they continued this kind of behavior and censorship. 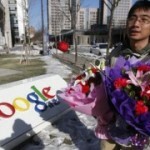 At the Google headquarters, Chinese citizens left flowers and notes in admiration of Google’s stand. A civil uprising is beginning to take shape in the country and its momentum may force the Government to ease its stand. We applause Google for putting their core principals ahead of their bottom line. It may be one of the most refreshing, and forever lasting events of our time. Nothing, throughout history, has been able to force change in China until now. Who would have thunk that Google, an American company, would be able to accomplish something that no other Government or Human Rights Group could. 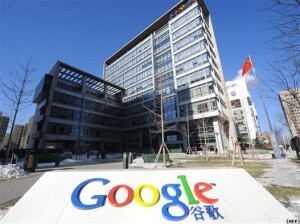 We feel that Google will prevail in the end, stay in China and put a huge dent in the Governments stand on censorship. It highlights the fact that no matter how much money is at stake, or how far two parties are apart in a negotiation(could be $500 on a $5 million dollar transaction), one should NEVER challenge or question another’s core principals. It will undoubtedly end all negotiations and profitable relationships moving forward. Title Insurance – What does it cost and why do I need it? Title insurance is policy that covers homeowners and mortgage companies from unknown defects in the deed. It is the responsibility of your attorney to do a title search prior to closing. Unfortunately unforeseen circumstances come up. Both buyers and lenders should have title insurance. The lenders policy only covers their portion of the mortgage. If you pay cash, or put down a large amount at closing, you should have title insurance covering your portion of the value as well. You might ask yourself, what does title insurance cover? A buyer moved forward with the purchase of a property. 1 year later a woman comes forward saying that she never authorized or intended to sell this property. Her husband at the time forged her signature while she was out of the country and she was notifying the current owners that she was taking the property back. She had a right to her home that was illegally sold. Now, had the buyer NOT had title insurance, they would have been out of luck and would have had to go through a lengthy lawsuit to get their money back. Since they did purchase the policy, the insurance company was responsible for paying them back the money they had put down on the home. The buyer was free and clear but the insurance company had to go through the process of recouping their losses. How often does a total loss like this happen? Almost never, but is it worth taking the risk? 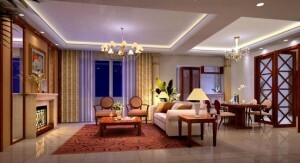 We at Luxury Residential Group do not think so. What is title insurance going to cost me? Title insurance is something you pay once, at closing, and is usually $3.25-$4.00/$1,000 paid. For example, if you buy a home or condo for $425,000, you should expect to pay between $1,375 and $1,700. Although a good amount of money, it pales in comparison to a $425,000 dollar loss and covers you for as long as you and your heirs own the property. Title defects occur quite often and are usually picked up by the title examiner, hired by your attorney, and paid for by you at the closing. If a defect is found, it is the responsibility of the seller to take care of and have it removed from the title prior to closing. Unfortunately, a lot of buyers and sellers these days try to do things themselves(P&S, Closings, and filing of the deed) in order to save themselves money on closing costs and doing a thorough title search is overlooked or something that is unknown by the buyer. Buyer BEWARE, if you do this, you run the risk of SIGNIFICANT losses. You should ALWAYS hire a professional and experienced attorney. If you do not, you might find yourself responsible for paying back former owners, lenders, painters, plumbers, gardeners and pretty much any other contractor you can think of who may have gotten burned by the previous owners. You also run the risk of not only losing your property, but having to fight a lengthy court battle to get your funds back. Do Your REALLY Want to Sell Your Home Or Condo? If the answer is yes, then you need to be forward thinking and accommodating in these uncertain times. If you are not reasonable with your pricing, you will sit on your property for months, sometimes years at a time. You will also start questioning your broker, blaming them for not selling it in a reasonable period of time. 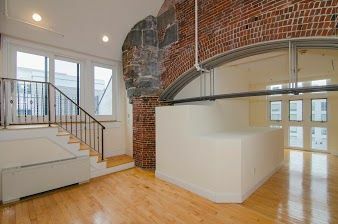 What you should be asking your broker is, WHAT NEEDS TO BE DONE TO SELL MY CONDO OR HOME? You should always hire a Seller’s Agent who is reputable, trustworthy and experienced. PRICE, PRICE, PRICE - We all know that your property is the best. We understand you put a lot of love, sweat and money into making it perfect. Unfortunately, if you want to sell it in a downturn, the best strategy is to price it 10-15% below your neighbors who are selling a comparable home. The bottom line is, those same neighbors will be sitting on their property 3 to 5 times longer, and eventually end up at the same price point if not lower than what you sold your property for months earlier. UPGRADES – Not all, but most buyers, prefer not to pay a big premium for your style and upgrades. Yes your finishes are superior, but if you ask a $1.5 to $2.0 million dollar buyer what they would prefer: A higher floor unit, same layout, with lesser finishes but a better view, for $1.7 million, OR, a slightly lower floor unit with superior finishes for $2.0 million, most if not all would go with the higher floor. 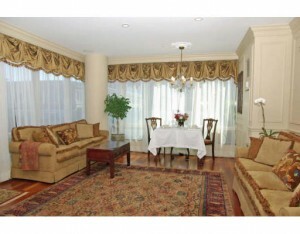 The buyer can use the $300,000 to style it to their liking while achieving superior views. Be realistic. MAKE IT EASY AND ENJOYABLE TO SHOW – Always make sure your home is clean, clutter free and smelling good (scents can deter buyers). Also, do not make it difficult for your broker to show the property. Things like, “My dog is sleeping”, “the maids didn’t come”, “the in-laws are here for a week” etc etc. Your goal is to sell!! Even though your life might be disrupted for a few months, this is probably the single biggest asset you own, so do your best to deal with the inconvenience. Allow the broker to show the property on SHORT notice and do their job. If you don’t, you will undoubtedly miss good opportunities. From reading this blog posting you know what we are getting at. If you are FORWARD thinking, you will be rewarded. Everything comes down to price in the end. Listen to your broker, that is why you hired them. They are looking out for your best interests. If you feel they are not, find someone else to market your property ASAP.